How can I register windows 8 professional as I liked this window and want to use for all? Hi friends can anyone help in registering windows 8 professional as I have first saw this windows in my laptop which I have purchased in june and decided to use it and wanted to register it to professional version please help. 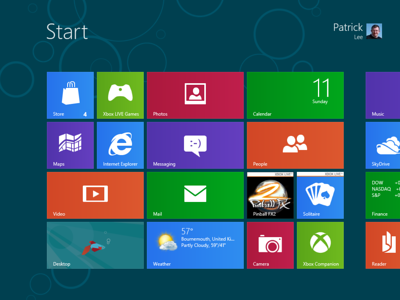 How and where to register ourselves to get the upgrade for Windows 8 once it get released? Can I register files with no extension to open using WordPad? How can I do so? How I can register programs with "Open WithÂ”? What are the difference between Windows 7 ultimate, windows professional and window home basic? How to register for Microsoft Account? Re: How can I register windows 8 professional as I liked this window and want to use for all? I need not say that Windows has not yet released the final, official version of the Windows 8. Since It has not been released, and what you are using is an evolution version, you can not register if for unlimited use. You will need to purchase a licence after the evolution period. If you want to register windows 8 professional to make it genuine & use the full version, you have to go to windowsupdate.microsoft.com/. Select the windows 8 for upgradation. Now click to purchase the full pack. Pay online using your Debit card. After paying you'll get instantly a genuine registration key via email. Now go for offline windows update. Provide the registration key & click on OK. It'll update your windows 8. If you want to make your windows Full than you have to buy it. For that go to the http://www.windowsupdate.micsoft.com/. Click on the option which says "Purchase the full pack"
You will have to pay through online payment. After paying you will receive a genuine registration key from windows. Insert that in your windows registration option . This will make your windows genuine. How I can register programs with "Open With”? Is it possible to register for the information of previous logon at the time of windows logon using windows 7 ultimate?